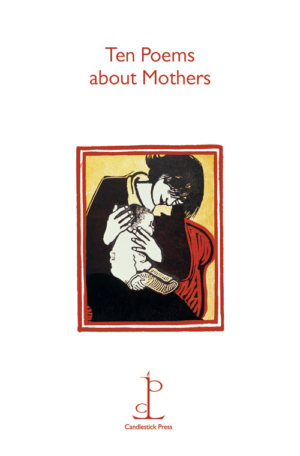 Ten Poems about Mothers is a tribute to mothers everywhere; an appropriate (and schmaltz-free) alternative to a Mother’s Day card or a birthday card – or just a thank you – for mothers and friends who are mothers. In addition to their many other sterling qualities, mothers have inspired some extraordinary poems. Hence Jenny Joseph’s mother can’t get out of the front door without a long list of things to remember while in DH Lawrence’s poem, ‘Piano’, the poet remembers the Sunday evenings of his childhood when his mother would play the piano. Full of affection, admiration and nostalgia – and occasional exasperation – these poems put mothers centre stage. We hope that you, your friends and your mothers enjoy reading the poems. In fact, we hope that mothers everywhere will read them after bedtime, by torchlight…under the bed-covers, obviously. Cover illustration by Carol Walklin. Other illustrations by Rosalind Bliss. Profound yet often amusing, 'Ten Poems about Fathers' contains ten wonderful poems that explore fatherhood from different perspectives. Perfect for Valentine's Day, wedding or civil ceremony guest 'favours', anniversaries or, frankly, for anyone in love.